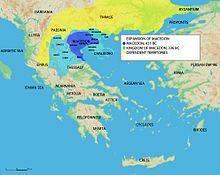 Makedonía), a kingdom (later, region) named after the ancient Macedonians, who were the descendants of a Bronze-age Greek tribe. 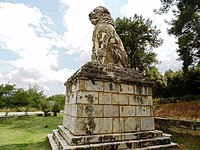 Their name, Μακεδόνες (Makedónes), is cognate to the Ancient Greek adjective μακεδνός (makednós), meaning "tall, slim". It was traditionally derived from the Indo-European root *mak-, meaning 'long' or 'slender'. Linguist Robert S. P. Beekes supports the idea that both terms are of Pre-Greek substrate origin and cannot be explained in terms of Indo-European morphology. However, Beekes' views are not mainstream. The region has historically also been known as Македония (Makedonija) in Bulgarian and the local South Slavic dialects, Makedonya in Turkish, and Machedonia in Aromanian or Vlach.